TECHNICAL AND AFTER-SALE SERVICE. 24 HOURS A DAY, 365 DAYS A YEAR CUSTOMER SERVICE. 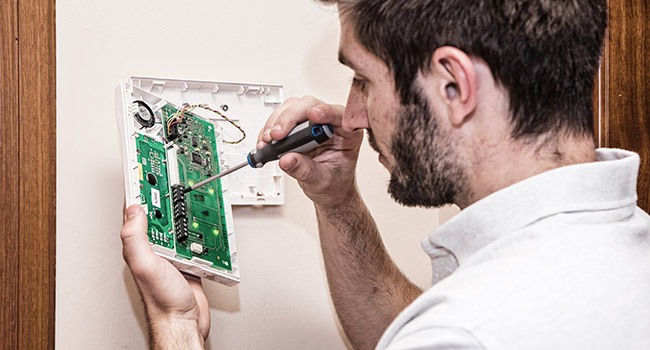 Our maintenance and aftersales department works proactively ensuring the perfect performance of all our alarm systems. For this reason, we have a qualified technical team that works to avoid any working issue carrying out a preventive maintenance, in accordance with legal requirements. MEVISA’s after sales department focuses inresolving any question our clients might have about the performance of the installed systems. For this reason, we establish a close and fluid communication flow with the aim of eliminating any waiting time. Rapidity, efficiency, and immediate attention are our principal values.